Ordinary rate delivery form: SC-DO-7. Heading and notes: Form number No. 13. Message area: 20 boxes in five lines. Reverse side: 68 boxes in 17 lines allowing for a message of up to 88 words. Colours (text & form): Red on cream. Size of form overall: 195 × 225 mm. Size of datestamp box: 33 × 38.5 mm. 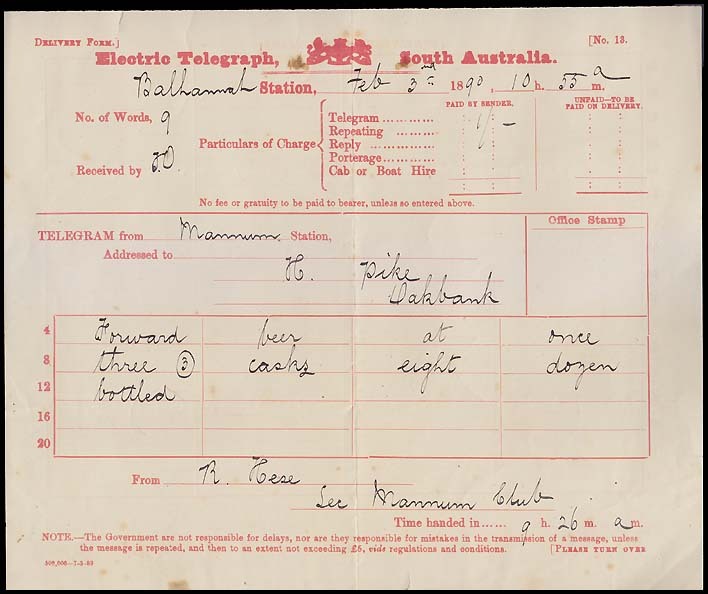 7C: has Station names for ADELAIDE and MELBOURNE. has no printed station names. 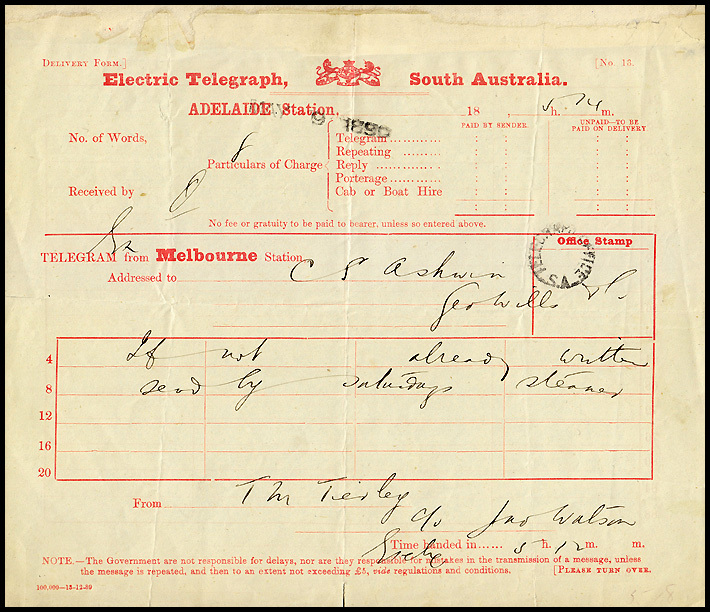 Has large TELEGRAPH OFFICE date stamp. Previous SA Colonial delivery form (SC-DO-6). Next SA Colonial delivery form (SC-DO-8). 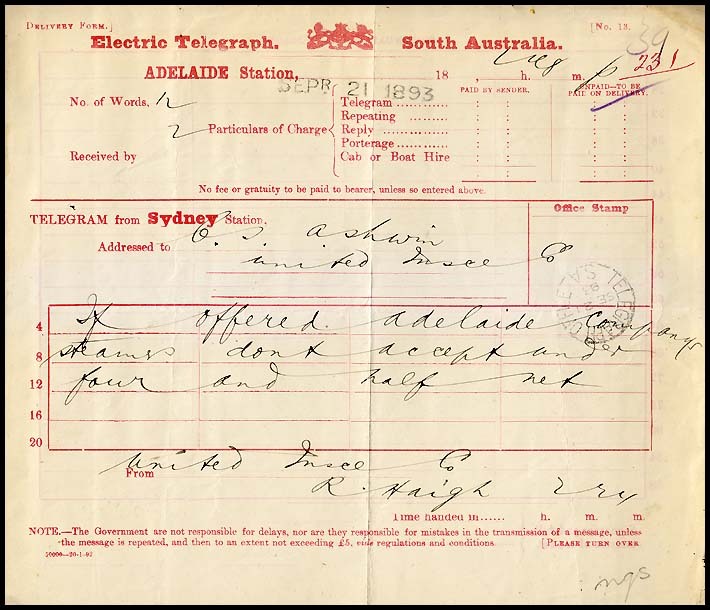 Overview page for the South Australian delivery forms.